Aqua Illumination has been busy working on a new flexible aquarium tank mount arm and they are beginning to ship to dealers and distributors. 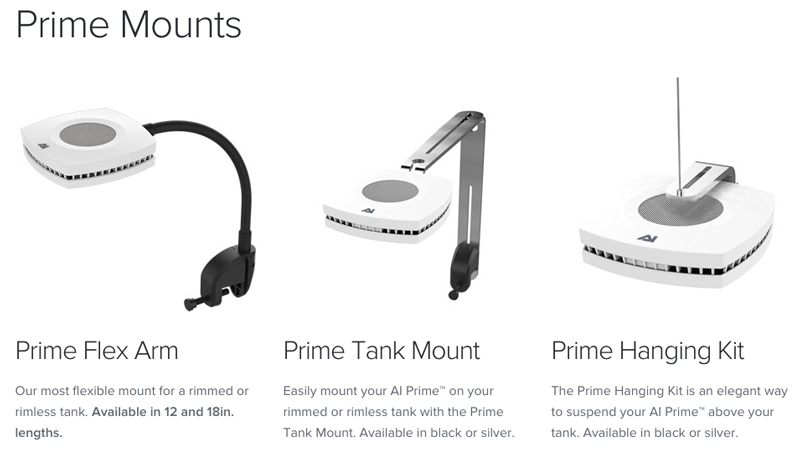 The new gooseneck arm is a sturdy and attractive solution for mounting your AI Prime LED fixture over your aquarium. 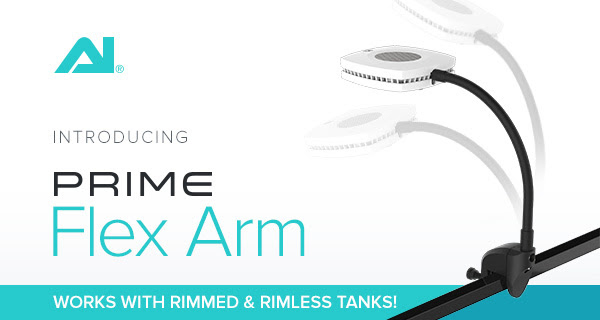 The Flex Arm can securely attach to the the side of a rimmed or rimless aquarium and each arm includes wire-management clips for an attractive look over. The high quality powder coated Flex Arm is silicon coated to further protect it from the elements. The arms are available in 12 inch and 18 inch lengths and you can pick these up for $24.99 and $29.99 respectively and they appear to only be available with a black finish. If the black finish on the Flex Arm is not preferred, then fear not. AI still has it’s hanging kit and Prime Tank Mount option in black and silver finishes. For more information on Aqua Illumination products please visit the AI website. Also don’t forget about our AI Prime giveaway. Enter your chance to win a free Prime LED and maybe a bonus item we can’t disclose, hint, hint ^^^.